The science side of Vuly: Learning on your trampoline. Your Vuly is an instrument of enjoyment and exercise. We’ve talked before about how great trampolines can be for staying active, and for stimulating your brain. Did you know that you can use your Vuly’s positive effects on the mind and body to learn and remember more effectively, or to teach your kids about science and general knowledge? Today, we talk about 3 ways that you can take advantage of your trampoline when trying to sharpen your mind, or your kids’. Learning can be fun! After all, who would’t rather do it while bouncing and laughing, instead of sitting at a boring desk? Have you found your son or daughter poured over papers, trying to memorise notes for school or university? Are you just trying to broaden your knowledge base? Bouncing on your Vuly boosts oxygen flow to your brain, which helps your mind to stay focused and retain information. Prepare a quiz based on your son or daughter’s notes, and shoot questions at the them while they bounce. Alternatively, to broaden your own knowledge-base while having fun, ask a family member to download a bullet list of facts. They can read them out to you while you having fun jumping. Later on, get them to actually ask you the questions while you’re on the Vuly again. See if you’re able to answer them! You’ll find that your, or your child’s, attentiveness and ability to recollect information improves both during and after a session on the trampoline. Most of us learn best with visual or tactile stimuli; instead of reading about the principles of gravity and inertia in a book, for example, bouncing on a trampoline can be a fun way to teach kids about physics while they’re actually experiencing the laws behind it. Your Vuly could inspire a future scientist in your child. Teach your child about the relation between gravity and mass, and how they affect our ‘weight’. Ask them, for example, what they think would happen if they bounced on the trampoline while on Mars? Talk about how friction can create static electricity. Ask them to rub their hair on the trampoline enclosure, and see what happens? You can make a ritual out of the lessons as they get older, and can handle more complicated information. You’ll probably learn a lot too—all while laughing with your kids. The learning doesn’t have to be limited to schoolwork or physics! Vuly’s one-of-a-kind HexVex™ Game Mat has the potential to create unlimited topics of interest. We've gone through lots of pure fun games in the past, but try playing a game that involves your child jumping on a icon, and your reading out an interesting fact related to that topic. For example, the cat icon could be the topic of ‘land animals’, or jumping on the star icon could lead to ‘astronomy’ facts. If they jump on the same topic twice in one session, pose a previously used fact as a question, and see if they can answer it. The possibilities for learning are endless. Make sure that a few of your facts are comical to keep the game light! Once you’ve tried our knowledge-expanding ideas, let us know how much you’ve learnt. 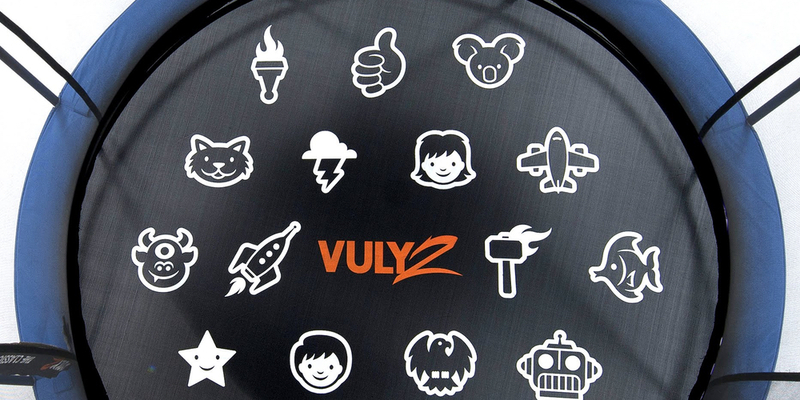 There’re so many creative ways to improve yourself with your Vuly!